Yellow tea is one of the six tea categories, which becomes increasingly rare in China. Then how much do you know about yellow tea? We will briefly introduce the yellow tea to you. Yellow tea is a kind of “light fermented tea” among the six tea categories in China, which is loved by tea lovers since ancient times. 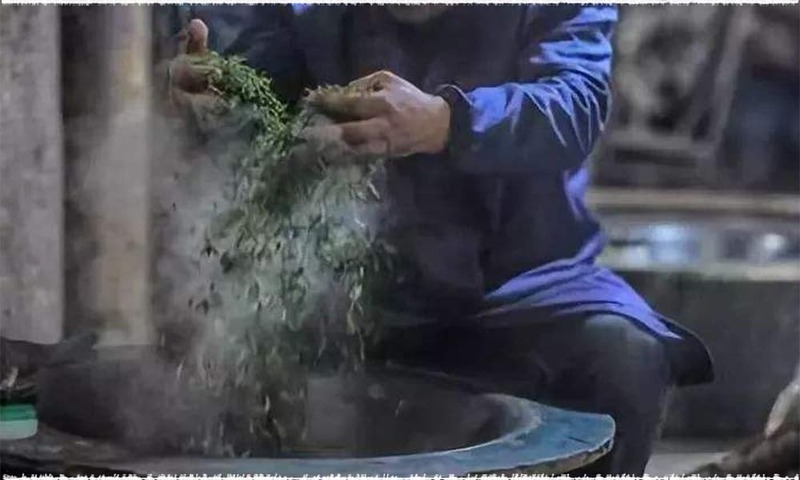 The process for making yellow tea is similar to that of green tea, but with a unique additional step called “Men Huang”. 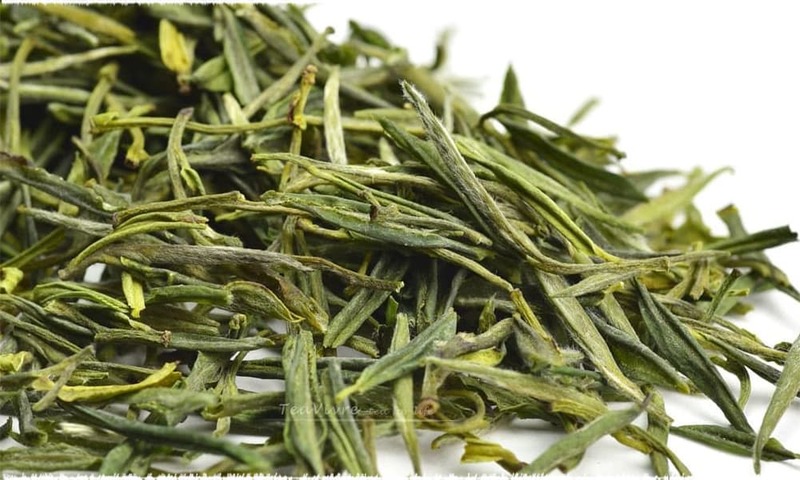 Its characteristics are yellow tea liquid, yellow tea leaves and elegant aroma with mellow and refreshing taste. For many people who are not familiar with yellow tea that will be treated as the spoiled or expired green tea. In fact, yellow tea has a long history in China. As early as the mid-Tang Dynasty, yellow tea began to be produced in Anhui Province. According to the freshness and size of raw materials, yellow tea can be divided into three types: Huang Ya Cha Yellow Tea, Huang Xiao Cha Yellow Tea and Huang Da Cha Yellow Tea. 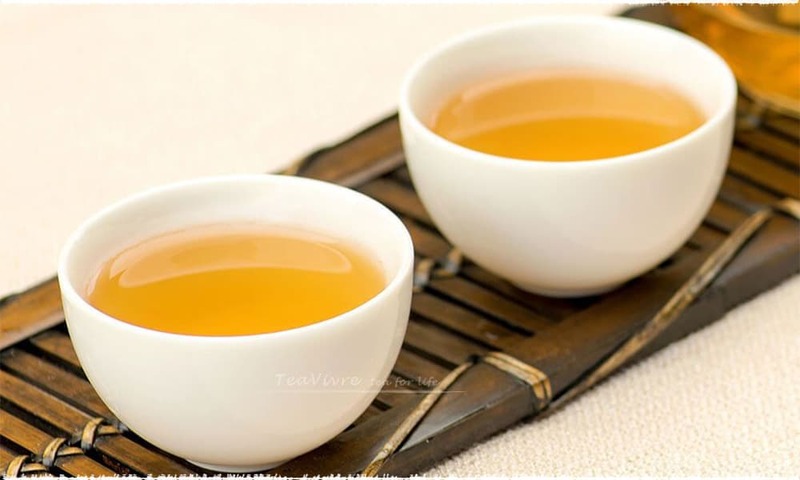 Refers to the yellow tea which is chose the tea bud or one bud with one leaf as the raw material, such as the “Junshan Yinzhen Yellow Tea” from Dongting Lake, Yueyang, Hunan, “Meng Ding Huang Ya Yellow Tea” from Ya’an Sichuan, “Huo Shan Huang Ya Yellow Tea” from Huo Shan, Anhui and etc. Refers to the yellow tea that is made of tender tea buds and leaves, such as “Wei Shan Mao Jian Yellow Tea” from Ningxiang, Hunan, “Bei Gang Mao Jian Yellow Tea” from Yue Yang, Hunan, “Ping Yang Huang Tang Yellow Tea” from Pingyang, Wenzhou, Zhejiang and etc. Refers to the yellow tea that is used the one bud with two or three leaves, even four or five leaves as the raw material, such as “Huang Da Cha Yellow Tea” from Anhui. 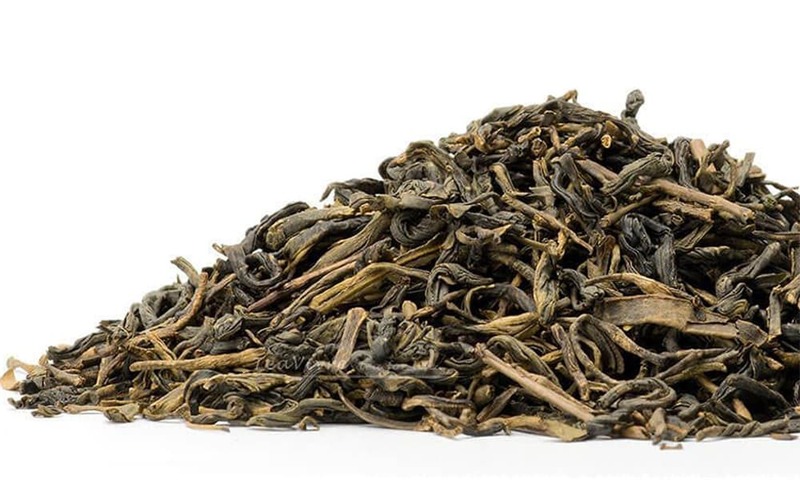 In general, Huang Ya Cha is pure and refreshing; Huang Xiao Cha is mellow and sweet; Huang Da Cha is rich and thick. Each has its own characteristics, you can choose according to your own preferences. Through the high temperature fixation, the enzyme activity of yellow tea is destroyed and the water has evaporated, so the tea gives off a very pleasant fragrance. During the fixation, we need to master the principle of “high temperature, and from high to low temperature” to completely destroy the enzyme activity. Rolling is not an essential part of making yellow tea. 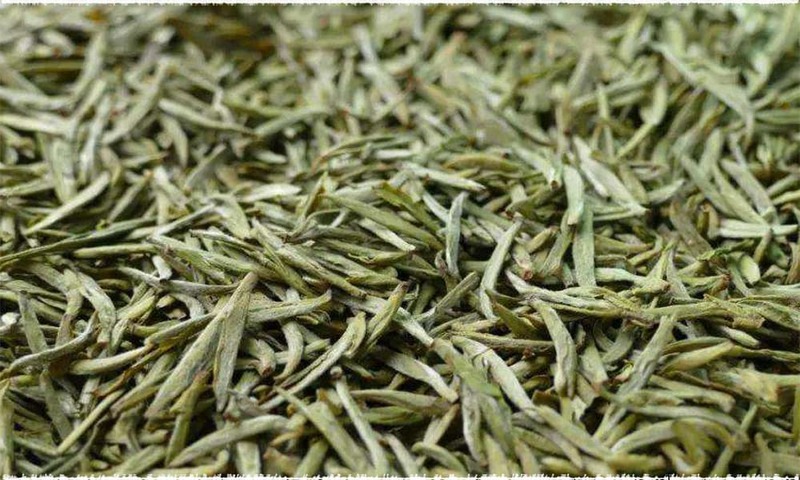 For example, there is no rolling process for the tea like Junshan Yinzhen Yellow Tea and Meng Ding Huang Ya Yellow Tea. 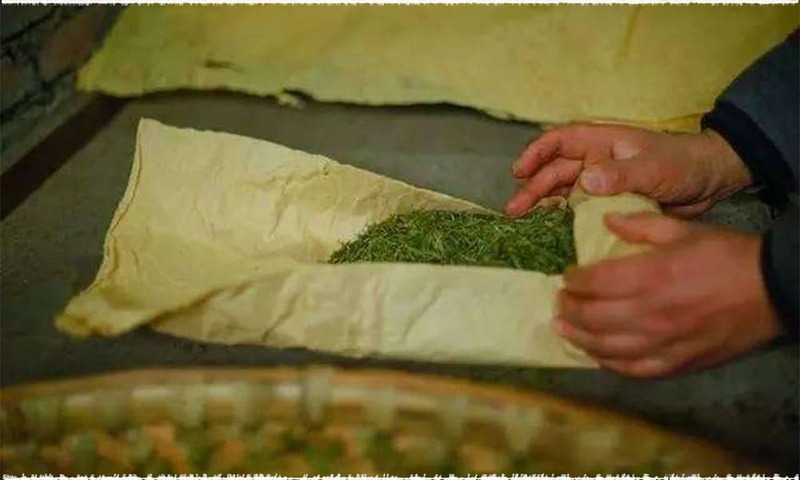 While for Beigang Mao Jian Yellow Tea and Huo Shan Huang Ya Yellow Tea, there is a simple rolling process after fixation. The tea leaves of Huang Da Cha Yellow Tea are large, so the tea needs to be shaped by rolling. Men Huang is a very important process in yellow tea making process and is also the unique process of forming yellow tea. 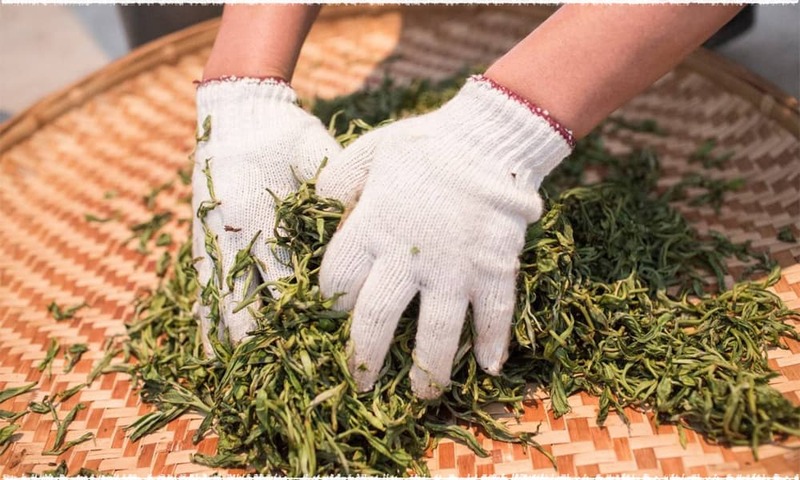 It refers that after fixation and rolling, the hot tea leaves are wrapped with a special cloth or paper to yellowing, which can be repeated several times over a period of time. 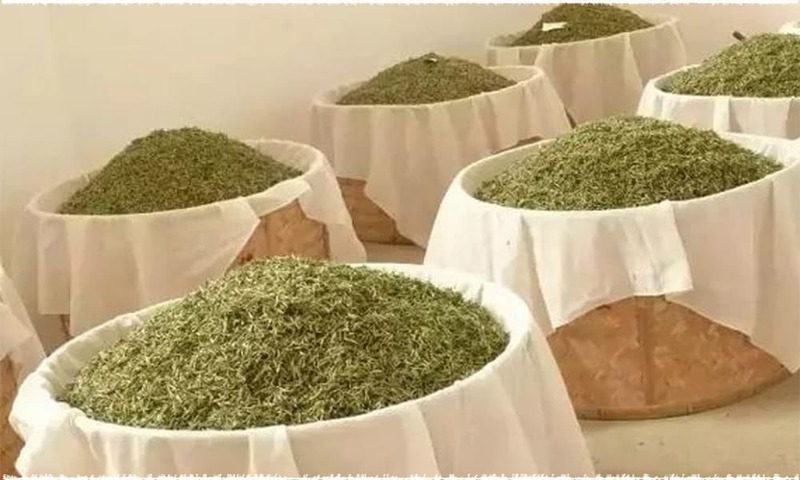 Men Huang can be inserted in any processes from fixation to drying, which will be different for different kinds of yellow tea too. The drying process of yellow tea is similar to that of green tea, which includes baking and pan firing. Generally speaking, the dry process will be repeated for several times and the temperature will be lower than other teas too. While drying, the color will change and the fragrance will appear too. Why Some Expensive Teas Come Out “Weak” Taste?